Level up your Battle Pass twice as fast with Fortnite Double XP events! Read this guide for Double XP event news, schedules, descriptions, & history. 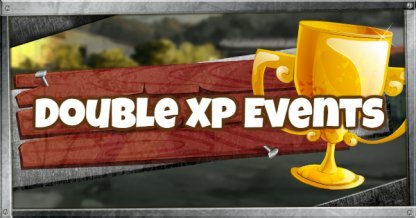 What Are Double XP Events? This February 15-17 and 22-24, 2019, all Fortnite players who log in will get double the XP in all aspects of the game. This will help you level up your Battle Pass faster! Check Out Share The Love Event Details Here! The first Double XP weekend will begin on Feb. 15 and will end on Feb. 17, 2019. The 2nd Double XP weekend will start on Feb. 22 and finish on Feb. 24, 2019. 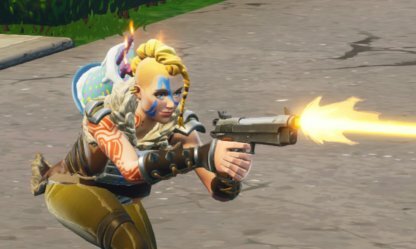 Fortnite hasn't announced any news regarding actual time when the event will begin. More information will be posted once they've been confirmed. Double XP events in Fortnite are limited and allow you to earn double the amount of XP while playing the game. These event are a great way to level up your Battle Pass and reach certain rewards within the season. Check Out Seaso 7 Battle Pass Rewards!